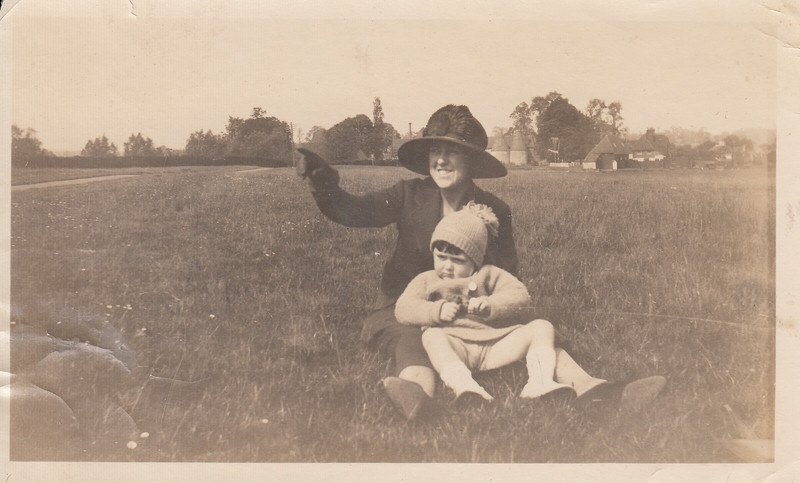 My Great Aunt Alyce with her son Walter, sitting approximately in the north-bound lane of the M20! What a contrast, a beautifuly, peaceful rural scene that would now be a screaming hell. To the right of her hat can be seen the end of the building which is now 'The Junction' restaurant, attached to the Holiday Inn. To the left is the tall chimney atop Bybrook House. Zoom in (click the image) and have a good look round in the background.